Welcome to Sugar Beach #104! This recently renovated ground-floor Sugar Beach Resort condo is just 50 steps from the beach—and you never have to hassle with an elevator. Unlike most owners at Sugar Beach Resort, our family lives in Kihei and we make a point of checking the condo before your arrival to make sure it is in great condition. You may contact us directly instead of dealing with a busy rental agency! This is a one bedroom one bathroom ground floor condo (670 square ft) and sleeps up to four guests. Sugar Beach Resort is an extensively renovated ocean-front complex, where you’ll enjoy lounging on the beautiful grounds, taking a dip in the heated saltwater pool and jacuzzi, or sunbathing at the beach. Bring your binoculars and watch magnificent humpback whales breaching (December to March). Join the guests who come back year after year!! Once you’ve stayed at Sugar Beach Resort, you’ll be back!! It’s the true Maui experience! You may book this condo by check or creditcard. Your fully stocked kitchen – just add groceries! There are 6 oceanfront BBQs for Sugar Beach Resort guests to enjoy – perfect for watching sunset! The lawn just outside Sugar Beach #104 – 30 steps to the pool, 50 steps to the beach! Ahhhh… what a place to enjoy the view and work on your tan! Lay back on that lounge chair and watch the sky! There are two outrigger canoe clubs within a short walk. Yes, they both allow for guest paddlers, inquire! With the exception of Christmas we have a 5 night minimum stay requirement. CHRISTMAS/NEW YEARS: minimum 10 night stay with no arrivals/departures between Christmas and New Years. Mahalo. More than 60 days: we will refund amount paid less a $100 cancellation/change fee and any credit card charges if applicable. Less than 60 days: no refund. We strongly recommend purchasing trip cancellation insurance. We recently rented Cara’s unit for our daughter, her husband and 14 month old daughter. The location on the main floor of the resort was absolutely perfect. They were able to access the grass courtyard outside the unit through their patio doors and our grand daughter had a great time roaming around outside. The koi fish pond is located close by as well. The unit is well equipped and comfortably furnished. There was even a playpen which my daughter used for her daughter to sleep in as well as a booster chair to use at the table for eating. There were beach chairs, umbrella and boogie boards available to use. Lots of dishes, glassware and cookware. We enjoyed sharing our dinners with them on the lanai where there was a nice sized table and chairs for 4. We also had many pleasant evenings playing games on the lanai. So nice to be outdoors! We are looking forward to returning to Maui at Christmas 2019 and again renting Cara’s unit. Happy memories spent at Sugar Beach Resort. We loved staying here for a week in Oct 2018. Cara was great to work with. The bed was comfortable. The kitchen was well stocked. The location was super convenient and central to everything. The beach was much better than we expected. We would definitely stay here again. Cara has been absolutely awesome! Her professionalism and genuine concern for our trip and safety (Hurricane Lane) was amazing. Even though we’ve been coming to Maui for 19 years and figured we knew everything about it, it was still incredibly sweet of her to advise us about the conditions. Plus,the condo was great. Nice being on the ground floor. 😊 It was so nice not having to deal with the elevator or stairs for grocery runs and loading the car for the outings. The condo had everything we needed, as well. Will definitely recommend it and Cara to friends/family. Clean, comfortable, and worth the value! We had a wonderful time and hope to return! We are a family of 4 (14 yo daughter and 9 yo son). The pool and beach were perfect, and the beach walks to the bakery and or shaved ice were a must. Our son spent many evenings in the pool. The BBQ area was great. The accommodations were good, although the washer and dryer were a bit small. Excellent vacation. Another great stay in Maui. Thank you for having us again this year. Will miss the long walks on the beach. See you next Feb. Already looking forward to coming back. Thank you for the stay! We have travelled to Maui a few times but never in January – the whales make such an impression that this trip will stand out among the rest. To see them breeching right from the lawn of the complex was just amazing! You must cherish this bit of paradise that you own, so greatful to have had the opportunities to enjoy your bit of paradise. What a wonderful stay! Everything was perfect! The condo was clean and had more than enough condiments to get us started… That was definitely appreciated. 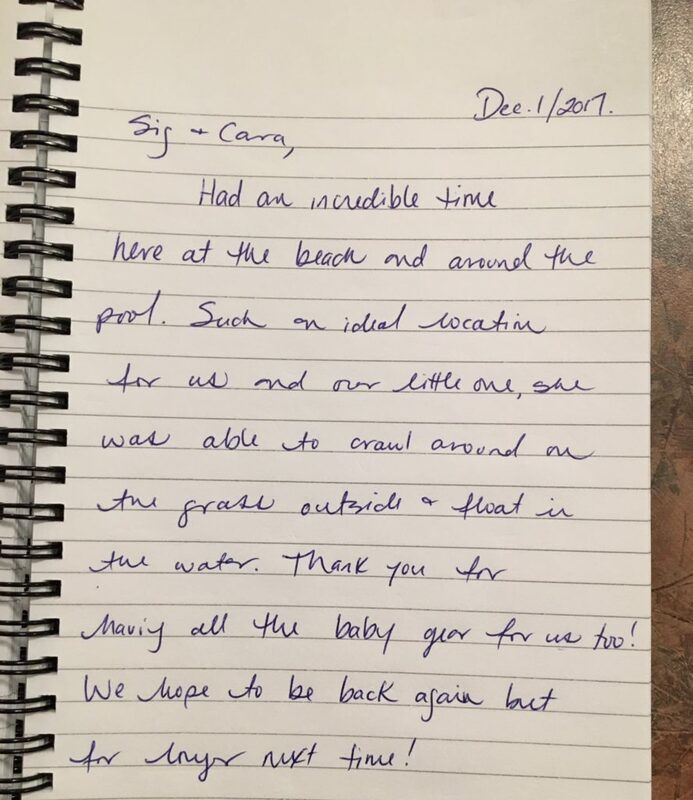 Cara and Sig, you guys were more than accommodating… hopefully you will let us stay again! Thanks for everything! 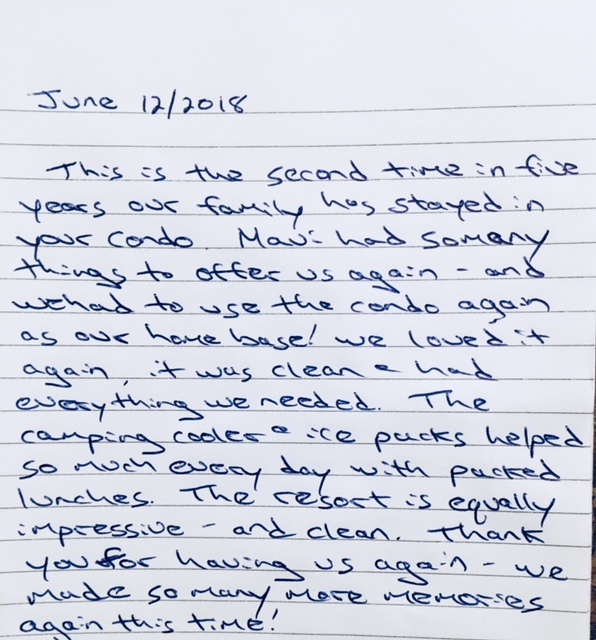 Another lovely review for our Sugar Beach condo. This is a great location. Right in the middle of all towns in Maui. Extremely satisfied with the experience of not staying in a bigger resort as always. Great to be able to relax with less people around. Not to feel hurried, or breathing down someone’s back. The condo was great for two of us, wonderful to have been able to cook whatever meals we wanted. The patio area is great for breakfast. We totally enjoyed the beach (everyday)that was ever so close as well as the clean pool area . A short walk to a store as well as to the farmers market & some great shaved ice. We were 12-15 miles away from most attractions going either way. A car is a must have but free parking was available. We did so much as well as relax in front of a nice tv with Netflix. All the comforts of home. Thank you Cara! We appreciate you sharing this condo. We loved every minute here on Sugar Beach! Maui has been such a great place. THis is our first time here and we can’t wait to come back! Cara; Thank you for your wonderful accommodation. Sugar Beach, being directly on the beach, was great. The walks, the pool, the bbqing, the nearby bakery – all great! We will be back. and we had a great time! We love the island and thank you for making your comfortable and clean condo available to us! This is the second time we have stayed at Sugar Beach and we love it! This condo was much nicer than the one we stayed at a few years ago. It was nicely furnished, the beds were super comfy and the ground floor was the way to go. Everything was perfect – we loved it and my kids were so sad to leave. Thank you to Cara for letting us stay at this great condo! Thank you Cara!! It was perfect. It was a beautiful place to stay and we had a wonderful time with our first vacation with our adult daughters. Everything at your condo was great. We will be back. Mahalo! We thoroughly enjoyed the Sugar Beach condo for its location and amenities. The proximity to all things in Maui makes the location perfect. The condo has comfortable furnishings and a very well equipped kitchen. We’d stay longer next time! The condo was beautiful! Perfect size and had everything we needed. We will definitely return! Sugar Beach Resort is a great complex and unit 104 has everything you need in a comfortable and clean setting. Check in was easy. And the activity center onsite is helpful to rent SUP boards and book shows. We went to see Elvis’ Burn’n Love which is excellent and highly recommended. The ground unit is so nice to have for easy access to the pool and beach and bbq’s. The people staying at Sugar Beach are all really nice and friendly which is always nice to have around the pool. From families to extended stay vacationers. The condo owner was always just an email away, helpful and nice. The unit is well stocked and comfortable. The only nice to have we missed was sunshine in the morning. The unit’s patio faces north west getting afternoon sun on it rather than in the morning. But it’s so easy to walk out the door for long walk on the beach then set up near the beach on sunchairs it all worked out. I highly recommend this accommodation. This is our third time staying in this unit. It works great for our family. We love how close the pool and beach are to the room. Being on the ground floor is really nice with our kids. They can be outside and we can easily keep an eye on them. The bed is very comfy and the kitchen is stocked with the things you may need. The location on the island makes it very easy to explore many parts of Maui within a short drive. We can’t wait to come back! Very well equipped even has a safe for your valuables. Easy access to pool and beach and bbQ grill. We would stay here again. Very well equipped condo takes the hassle out of trying to find all the little things you need while on vacation (Beach chairs, drink cooler, beach towels, boogie boards, etc. ), Loved the condo very comfortable and well appointed. 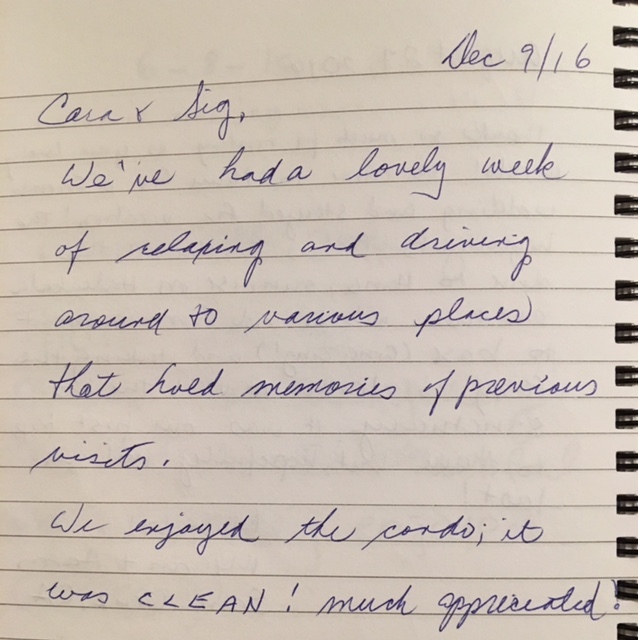 We would definitely stay again and will recommend to family and friends. Thanks again Cara. Have not been to Sugar Beach since I was a teenager. Wanted to bring both my daughters so they could have the experience and so glad I did! Condo was clean and comfortable and equipped with everything one needed for meal preparations and a day at the beach. Nice having the condo at ground level- quick walk out to the barbeques, pool and beach. Beach is wonderful and provides and easy walk to the ABC store, bakery and shaved ice shop. Nice self-contained complex with lovely grounds. Owners are great and help ensure you have an enjoyable stay. Would definitely come back! We had a wonderful vacation in Maui. The Sugar Beach Condo #104 was perfect for the two of us. It was very nice and we really enjoyed sitting outside viewing the garden and pool. The grounds are beautiful and very well maintained. I would definitely recommend this condo to others. It was an easy drive to lots of great restaurants. We also loved walking to the Bakery down the beach (next to the ABC Store). We had a wonderful time at Sugar Beach! The condo was super clean and very well kept. We appreciated the well stocked kitchen and all the amenities. Great location for day trips and a beautiful beach to walk and enjoy the sunsets. Cara and Sig (owners) are great to deal with and their attention to detail is evident. We were very pleased and are looking forward to coming back. Thanks for making our trip to Maui so enjoyable! What a beautiful location and resort for a family vacation. The condo is well equipped with everything you need for cooking and relaxing, and even has some “extras” for those beach excursions. The pool, hot tub, sauna and beach are great for adults and kids. The condo and grounds are spotless and well kept. A very friendly atmosphere while cooking on the barbeques, socializing with other guests and enjoying the many sunsets. It has a nice little store and sandwich shop right on site, and a short walk down the beach to the ABC store and shaved ice!! If you like exploring the location is great and central to traveling to the beaches to the south and west of the island. Thank you Cara and Sig for sharing your condo. The secret of staying on a Hawaiian island is to be perfectly located. Sugar Beach Condo is placed on one of the best walking beaches in Maui and conveniently situated close to all the major towns and resorts (except Hana which is a very scenic drive away). Even the volcano is not that far away. The town of Kihei has all your needs and this condo is only minutes away. As described by the owner the condo has all that you would need and being on the first floor is close to the pool, lawn and beach but still very quiet (except for the soothing sound of the waves). This April was our second time at this condo and we plan to return sometime soon. The owners have done everything to make your stay perfect. Check out the owners’ blog for valuable Maui tips.